This classic pendant is the perfect choice if you’re looking for that piece that is effortlessly elegant. 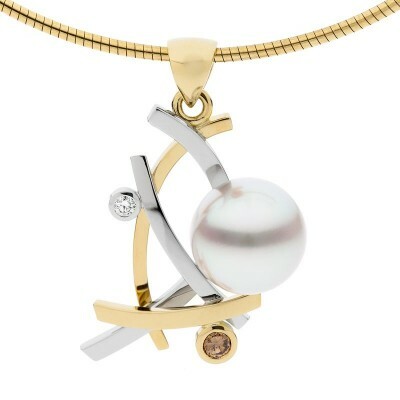 The tapering shape of the setting points towards the stunning South Sea pearl, allowing it to be the main feature of the design. Looks stunning worn long or short and is profiled perfectly on a neoprene necklace.